His Beatitude Patriarch John X of Antioch and All the East has called the Orthodox world to focus its energies on preserving Orthodox unity, especially in the face of modern challenges and threats, and not on striving for and discussing autocephaly. He also called for the convening of a pan-Orthodox Council, as the Holy Synod of his Antiochian Orthodox Church recently did. Pat. John is currently visiting the Serbian Orthodox Church and spoke on the issues facing Orthodoxy at St. Sava’s Church in Belgrade where he celebrated the Divine Liturgy with His Holiness Patriarch Irinej of Serbia on Sunday, reports the site of the Serbian Orthodox Church. “The reason for our visit to our sister Serbian Orthodox Church is our joint obligation to examine everything that is currently complicating relations between the Local Orthodox Churches. 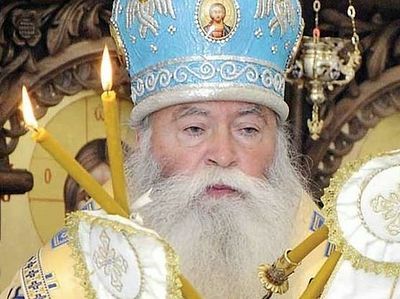 What need is there to discuss questions of autonomy and autocephaly now, when we most of all need the full and firm unity of all Orthodox Christians?” the Antiochian primate wondered. “There is no doubt that the Orthodox Church should examine its problems at a common Council, where the heads of all the Local Churches would be gathered,” he added. “Beloved of the Lord, more than all, we need now that Orthodox Christianity would be one word and one firm Body amidst the chaos of this world, which, above all, is distinguished by divisions. The unity of the Orthodox Christian world is the pledge that Christ has placed in our hands, and the consent of the Local Orthodox Churches is that which first of all preserves this unity and cohesiveness,” the Antiochian patriarch said, addressing Pat. Irinej and all those gathered in the church. 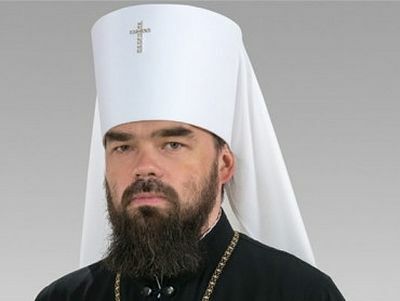 The decision of the Holy Synod of the Ecumenical Patriarchate, announced on Thursday, October 11, does not correspond to the canons of the Church, and the problems arising from it must be discussed at a pan-Orthodox Council, His Eminence Metropolitan Gabriel of Lovech of the Bulgarian Orthodox Church said in an interview with TASS on Friday. 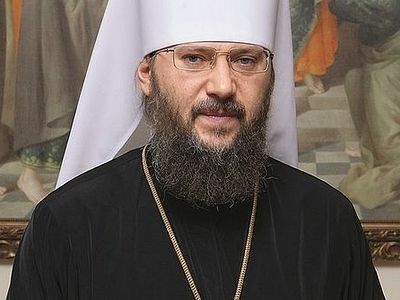 "Those who initiated autocephaly do not want peace in our land"
His Eminence Metropolitan Anthony of Boryspil and Brovary, the chancellor of the Ukrainian Orthodox Church has commented on the sad developments in the ongoing Ukrainian ecclesiastical crisis, in particular on the announcement of the Holy Synod of the Patriarchate of Constantinople following its session yesterday.